As the officers approached the vehicle at least one person inside opened fire, shooting through the vehicle's windows. 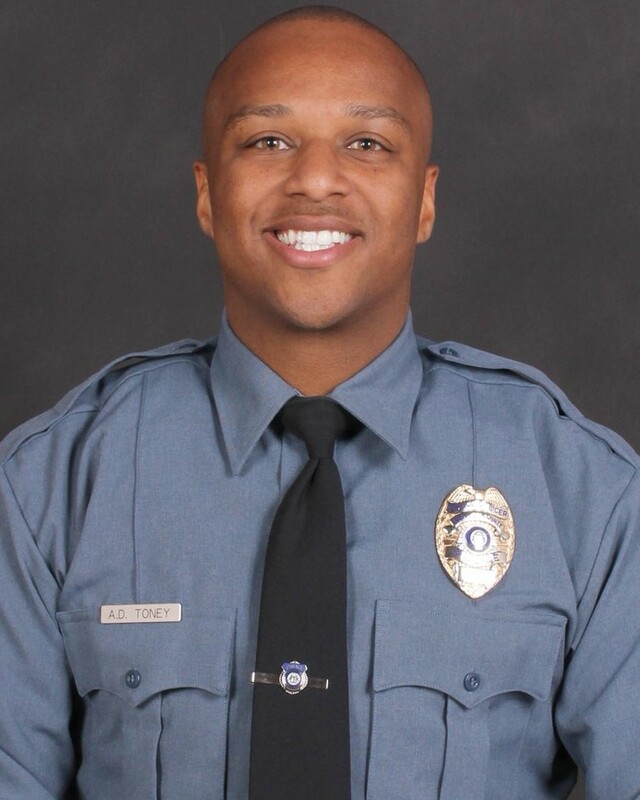 Officer Toney was struck as he and the other officer returned fire. The vehicle crashed a short distance away and its four occupants fled on foot. I only got to meet Officer Toney once, at the Gwinnett County Fair. He was very kind and had a bright welcoming smile. I asked I’m about Law Enforcement, The Gwinnett County Police Department and I asked him for advice and tips that would help me when I become an officer one day. He told me about his past as a Police Explorer/Cadet and how much he loved being a Police Officer. We talked about California and the Military and how he had family in the military.I didn’t remember his name till I saw his picture on the news. I knew that smile, and that comforting look. I went to his vigil at Gwinnett Church and prayed for him and his family. 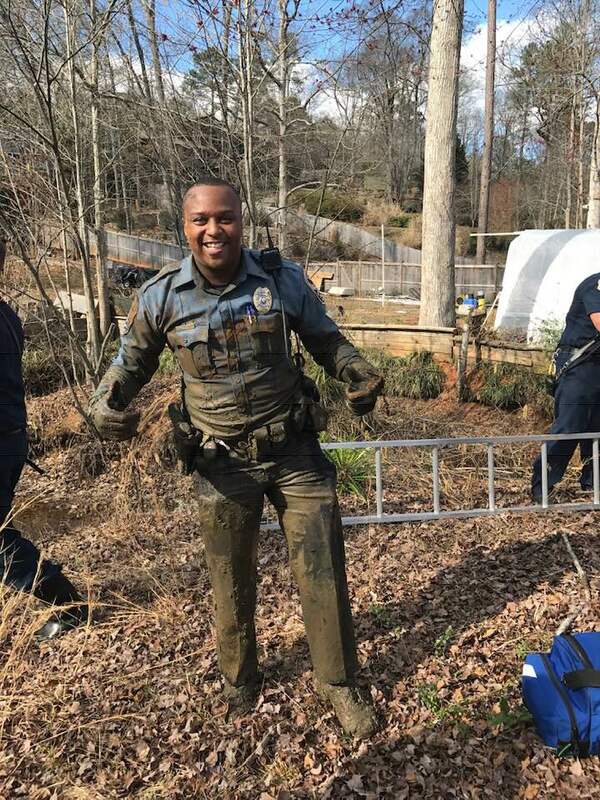 Officer Toney is the type of Officer and person I want to strive to be. He was friendly, kind, strong, caring and he loved his community and people around him. He inspires me to be the best I can be, and I can only hope he’s looking down right now knowing he had an effect on my life and the lives of others. I wear a blue line band on my wrist every day in memory of him and as a reminder of him and others who’ve made the ultimate sacrifice in the line of duty. 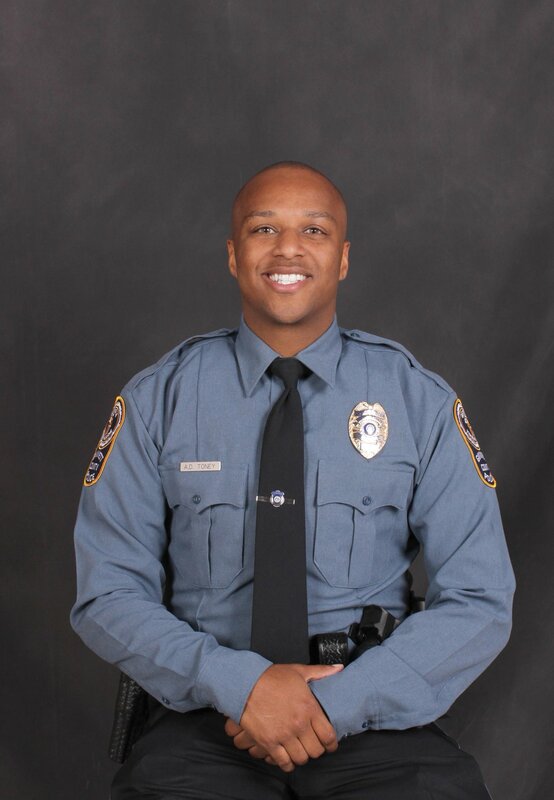 Rest In Peace Officer Toney.